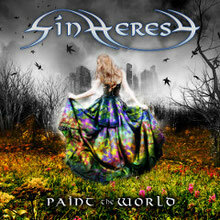 Italian symphonic metal band SINHERESY, will release their debut album "Paint The World" through Bakerteam Records on September 30th. 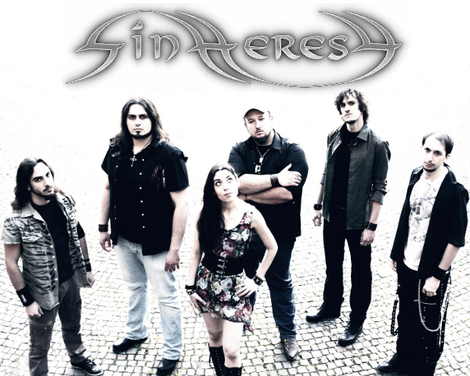 SINHERESY, inspired by Power Metal bands such as Nightwish, Kamelot and Edenbridge, was formed in 2009. The band soon developed their unique blend of Metal by adding a wider range of influences going from the dark sound of Sirenia and Within temptation to the Power/Progressive approach of Symphony X and Children Of Bodom. Their first EP 'The Spiders And The Butterfly' attracted very positive reactions from fans and critics alike and it was followed by the videoclip for the song 'Temptation Flame' and an increasing number of live shows. "Paint The World" was recorded between Fear Studios and Studio 73 in Ravenna (Italy), engineered by Riccardo "Paso" Pasini (Ephel Duat, Extrema) and displaying the 'cinematographic' side of their music never seen before. Mixed and mastered at Fascination Street Studios in Varberg (Sweden), by Johan Örnborg and Jens Bogren (Soilwork, Amon Amarth, Opeth, Paradise Lost).